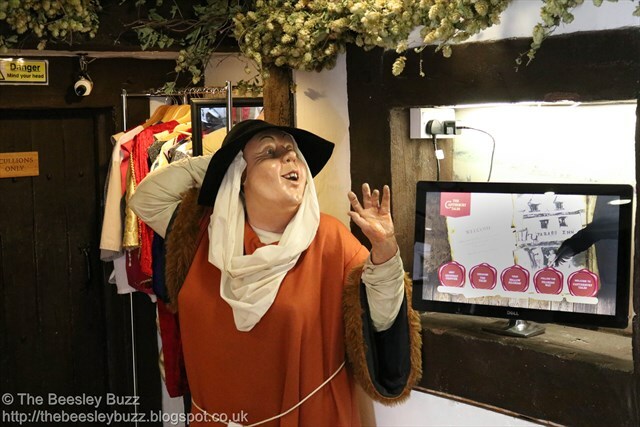 Today marked the launch of the opening of the new Medieval Story Garden at The Canterbury Tales, a unique visitor attraction in Kent. We were invited along to visit the new story garden as well as to experience The Canterbury Tales tour. The experience is situated in the heart of Canterbury in the building that was formerly St Margaret's church many years ago. We weren't sure what to expect and arrived for the tour we had been booked into at 11am. Tours run throughout the day and with no more than 12 people booked into any session, booking in advance is advisable. The tour itself lasts for 40 minutes and is a combination of a guided tour by an actor dressed in medieval clothing, and a recorded audio tour accompanied by visual effects in each of the rooms. As you walk through the darkened rooms you are introduced to Chaucer and his travelling companions and then get to experience 5 of his most well-known tales from his famous book, The Canterbury Tales. My children are currently aged 12 (nearly 13), 11, and very nearly 5 and I did wonder whether the youngest, Miss T, would cope with the experience or whether she would get bored. In fact, she loved it and asked immediately afterwards if we could visit again. The audio tour is available for children and adults and the children's version kept her enthralled throughout. The Medieval Story Garden (which opened today and will be open throughout the Easter holidays and future school holidays throughout the year) is included in the ticket price. Upon exiting The Canterbury Tales tour into the glorious sunshine outside we headed into the garden. As it was the first day of the gardens being open and the first day of the Easter holidays, it was quiet and without many people there it didn't look terribly exciting. But that is where the knowledge, passion and enthusiasm of the staff really comes into play. Within a few moments, the kids were transported into the realm of medieval knights learning sword skills and doing battle both with the practice mannequins and with each other. They learnt how to hold and use a sword properly, how and where to attack, how to block and defend, and how to use a shield for defence and attack. Next we looked at the herb garden to learn about Medieval Medicine. It was so interesting to find out how some of our current medicines are based on the original ingredients of medieval herbology. 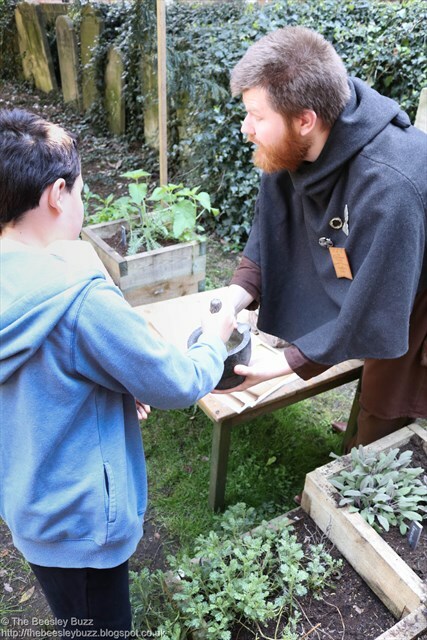 The children crushed herbs in pestle and mortars and played a game where they had to cure the ailments using medieval medicine. The story tent being undercover is going to be a useful addition to the story garden as we were told that it will be open rain or shine. Maypole dancing is one activity that I never thought I would get excited about but there we all were taking part in a maypole dance. First a simple one and then attempting...and I'd like to emphasise the word attempting... a more complicated dance. It was so much fun taking part in the Maypole dancing. Can't wait to find another maypole to do it again! The Medieval Story Garden will remain open from now until Friday 14th April and is open daily from 11am-3pm. 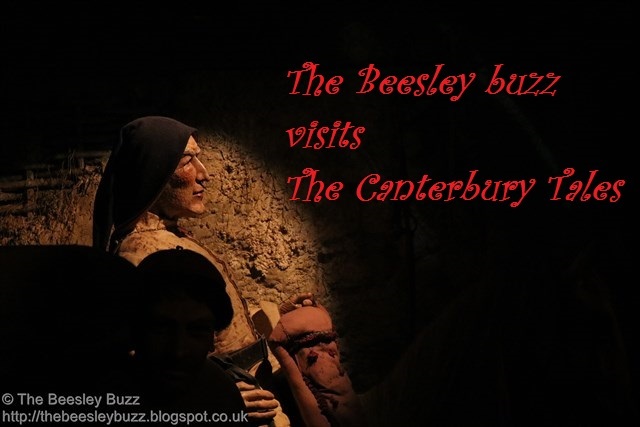 In summary, if you are visiting Canterbury or the surrounding area, then The Canterbury Tales is definitely worth a visit. 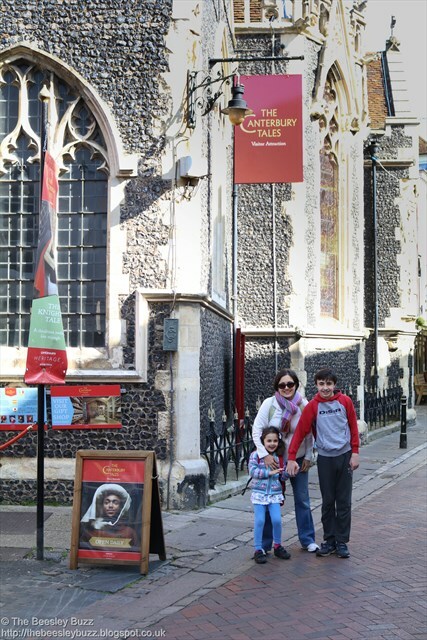 Disclosure: We were invited to visit The Canterbury Tales for the purposes of review. All opinions are our own. This looks really interesting, it sounds like a fun day. The staff at events like this really make it. What a fantastic day, educational and fun all in one. The tour sounds fascinating and that lovely story garden after too. We made our own Maypole last year and then used it for our May day activities here on the farm. I only tried some easy dances but we still got in a proper muddle! We really needed the Canterbury experts to guide us.